Thank you very much for the Great opportunity to see Budapest at night. The fireworks was great, dinner and cruise was fabulous. I chose the duck option. I will come back again as soon as possible Silverline. Nice boats,much nicer than the neighborhood has. Join us on 20th of August at St. Stephen’s Day when you can enjoy Firework Show from the luxurious Boat. August 20th is one of the most popular national holidays in Hungary. Usually, Hungarians celebrate with dinner and Firework. The big question is where is the best place to see the show? 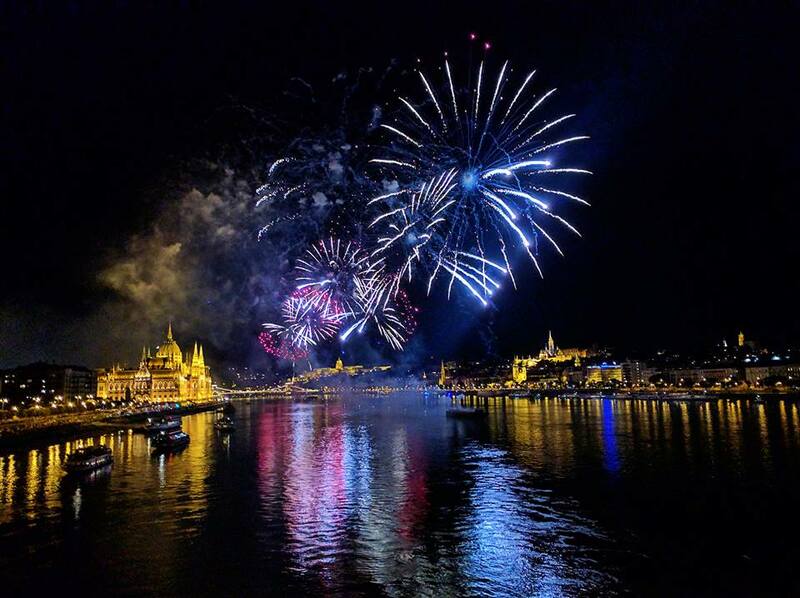 The Hungarian Government starts the firework from the Elizabeth and Chain Bridge. Our departure place is one of the most popular places where our guest gets an opportunity to see the whole show. Our Dinner Cruise takes a 1 round on the Danube before the start of the Firework Show. Our Dinner Cruise takes a 1 round on the Danube before the start of the Firework Show. After the Firework our guests have a chance to continue dinner on our cruise and spend a wonderful night with their company.